Turtle Wax Pro’s True-Vue & ClearVue Chemical Management System is a compact, efficient, and reliable chemical management system that can be customized to meet individual needs. The system holds 10-gallons of True-Line Turtle Wax Pro chemical per tank providing operators with an efficient, safe, and easy-to-use system. 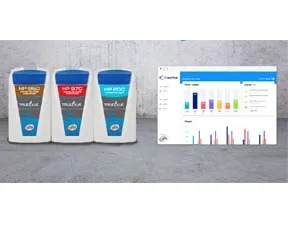 For more insightful and reliable cost-per-car data, add the ClearVue chemical monitoring system to the True-Vue system and get in-depth, data-driven analytics to manage one or more car washes. With ClearVue, you can get all the data you need to make informed decisions.